Polka, Folk and Ska brought to the streets of Europe. Philipp Maike aka Franz Förster plays strings for his band "Provinztheater“. 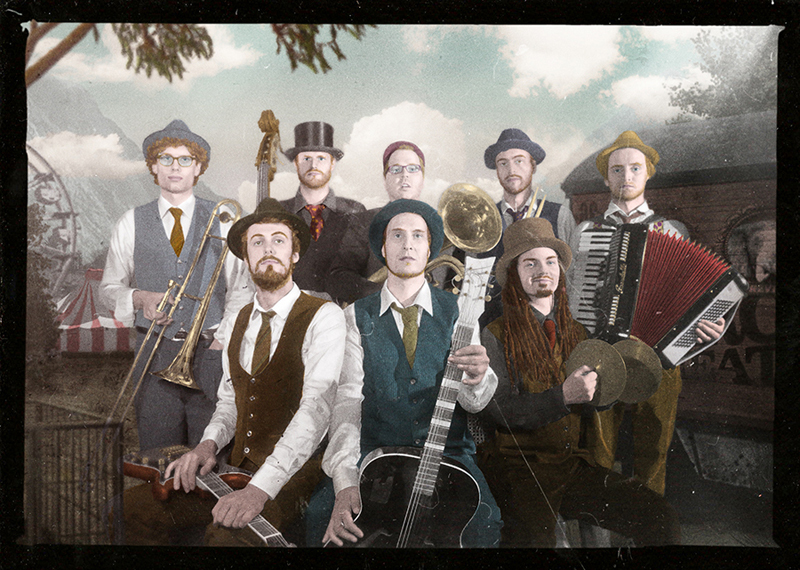 From the smallest market square to the most crowded pedestrian, the eight lads from Krefeld, Germany, have been promoting their mixture of Polka, Folk and Ska throughout the streets of Europe. Their unique style which they refer to as “Rumpelpolka” (from German “rumpeln” = rumbling & trumbling) grounds on the German singer-songwriter tradition from the 60s and 70s and it can be everything between blatant and loud or peaceful and quiet. On their journeys they radiate the distinct feel of their hometown, which is located in the flatlands of the Lower-Rhine-Area to export their thoughtful German lyrics into the hearts and souls of the rushed and the metropolitan. Apart from their music the band’s trademark has become their nostalgic appearance: To facilitate their travels they have incorporated their amps into rolling trolleys, which look as if they were stolen from Grandma’s closet and their traditional instruments are as ancient as their suits. When they started the band, Franz picked his vintage Höfner Colorama from the bulk trash in front of his door. He fell in love with the guitar instantly and started repairing it bit by bit. 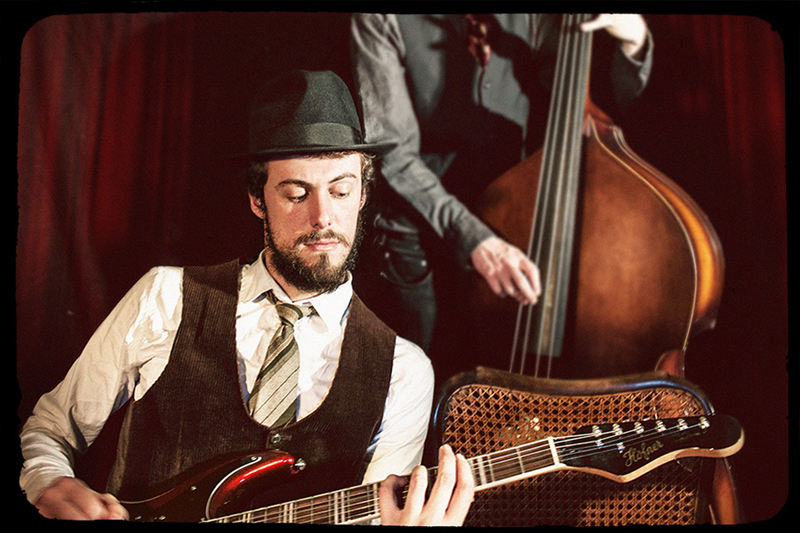 By now Höfner guitars have become a long time partner to Franz and the Provinztheater. For upcoming busking activities Franz uses his Galaxie HCT.